We leased our Elantra from Yorkton Hyundai and two weeks ago my wife was in an accident driving the car. I had her take it to the dealership to make sure it was safe to drive and her experience with them was amazing! Ron’s team got her in right away and kept her up to date the whole time. At the end they made sure to ask if there was anything else they could do to help her in the situation. Extremely helpful, 10/10. 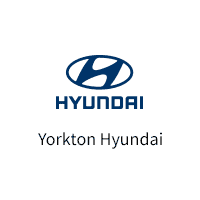 I was treated very well Rhonda was great she found us the best deal that fit our budget thanks so much.I love my Sante Fe I would recommend Yorkton Hyundai to my friends. AMAZING service, friendly staff, and we LOVE our Hyundai!! Yorkton Hyundai staff are excellent. Made the purchase of our new Santa Fe easy. They are a real pleasure to deal with! Great vehicle tons of features and a great price.KIM IS AWESOME!! !